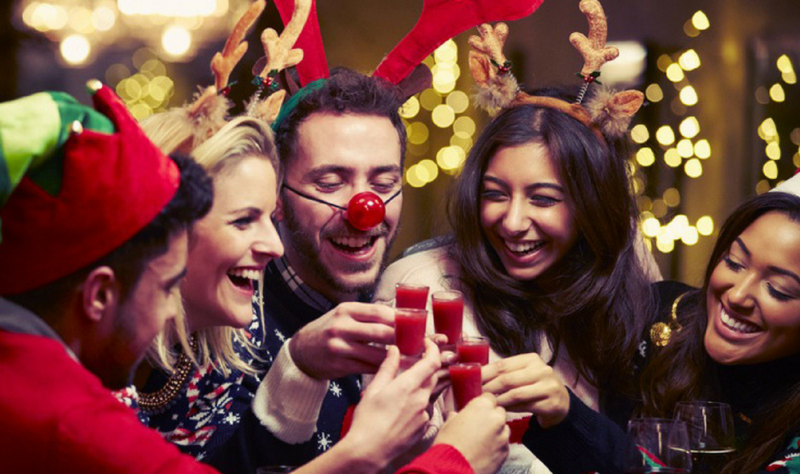 The festive season is well and truly upon as and within the next few weeks, diaries will be booked up with lots of events – Christmas parties, dinners, family gatherings. This version of Plus Size Picks is based exactly on that as its all about Plus size partywear to inspire you for the season. 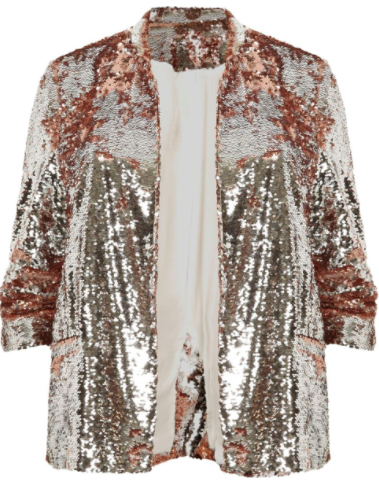 For all my sparkle addicts, this one is for you! 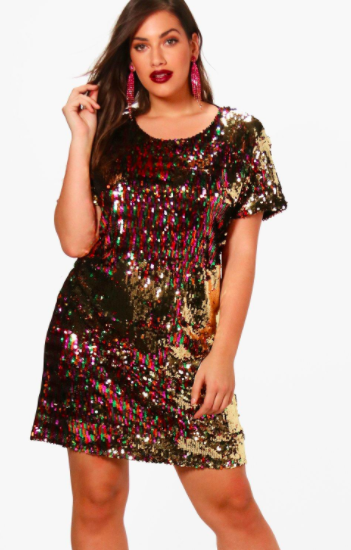 I love how shimmery and beautiful this dress is and is perfect for any festive party. I’d love to team this up with thick black tights and a leather jacket to give it more of a rock chic look, but I know however you wear it, you’ll have a dazzling outfit that everyone will compliment you on. How can you go wrong with a LBD? The choker neck style is really on trend right now and something I’m a very big fan of. I love this dress and I think a makeup look with a bold lip or smoky eyes would really bring the look together. If you’re like me and don’t often feel like wearing a dress, then this top may be for you. I wear a lot more black than I should, but this is a gorgeous top to wear to any Christmas party with some cute jeans and boots. 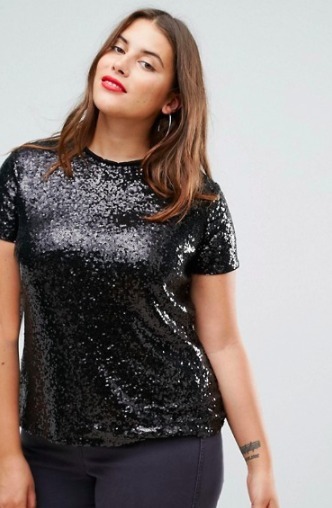 It’s effortless but glitter = festive effort, so it’s a win-win! This is a more dressy top which would look gorgeous for any party event which I think looks gorgeous. I love the detailing which isn’t too glittery if you’re not into all the bling bling but it’s still pretty festive. This is a gorgeous blinging blazer which will definitely catch everyone’s eye wherever you go. Just dress in a simple outfit and add this on top for the Christmas vibes. It’s a great piece that can really pull a whole outfit together. Straying away from the glitter, crushed velvet is another style I think is perfect for Christmas. I also love the bottle green colour which is a classy approach to your partywear. Dress this with a pair of black trousers, a lengthy skirt or even some calottes. I think much like the model some neck jewellery would make the look a million dollars. This is perhaps my favourite dress I’ve seen. It’s such a gorgeous design and the metallic glitter reminds me of a starry night, which is the best thing ever. Not only that, but the glitter changes colour in the light. Teaming this with heels and a clutch would make it an amazing outfit. First of all, this is my favourite shade of purple! I think this is a very flattering dress and a definitely winner for any Christmas party you have coming up. I think a clutch and some bracelets would be perfect for this look. I’m not one to usually go for a dress but I think this would be the one I’d pick out first. What will you be wearing this party season? Which of these plus size partywear picks catch your eye?